Telling stories is one – if not the oldest – art form known to mankind. As such, it gives Essex Book Festival enormous pleasure to offer a truly diverse range of story-telling events and activities for families and young people under the banner of Story-Time. This year’s Festival offered a fascinating mix of storytelling events. 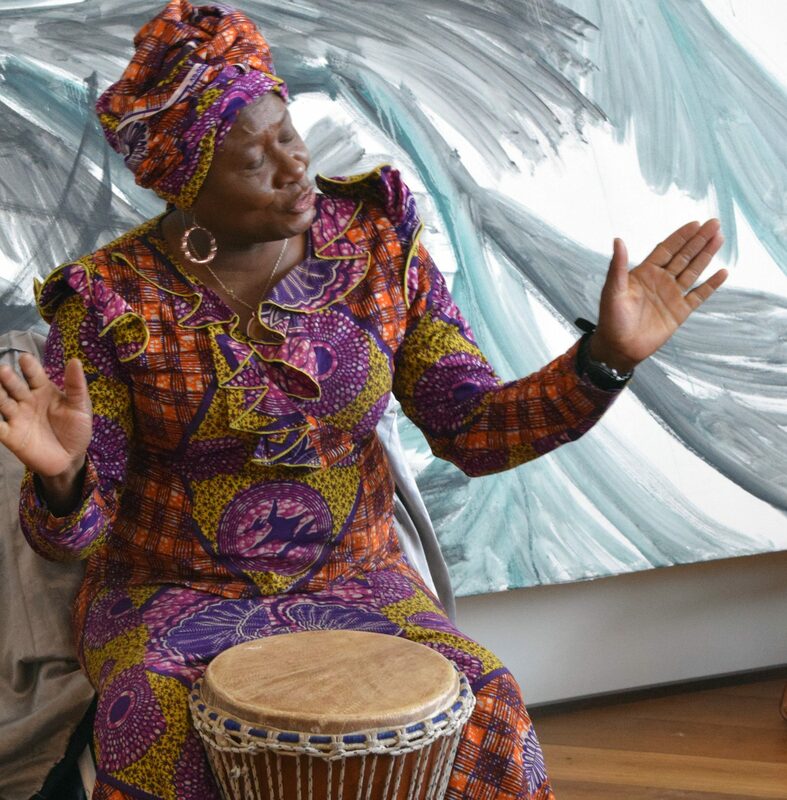 This included Traditional Stories From Africa led by Efua Sey Korbi, a traditional oral African storyteller and percussionist who led children on a magical journey of music, dance and stories handed down from generation to generation, which took place at Firstsite in Colchester. Meanwhile, Syd Moore, our Writer-in-Residence for 2018, invited children to come along to her Heroes and Villains Workshop at The Forum in Southend where, using a range of innovative techniques, they found out all about creating characters from their own imagination: an essential ingredient in the making of any good story. Working in partnership with Sandford Mill in Chelmsford, we were thrilled to support an innovative workshop that encouraged families to explore digital storytelling using Sandford Mill’s vintage Marconi TV camera equipment, green screen and iPads. Lucky participants not only had the opportunity to write their own script, but also to film it using the museum collections, images and settings to bring it alive. Other storytelling activities included Martin Reed’s Space for Words Workshop as part of our Science and Invention Family Day at Anglia Ruskin in Chelmsford, and award-winning Essex-based children’s writer Wendy Constance’s The Natural World Storytelling Session in Jaywick Martello Tower as part of our It’s A Wrap Festival Finale. We’re delighted to announce that we will be running a series of international storytelling sessions over the summer months.